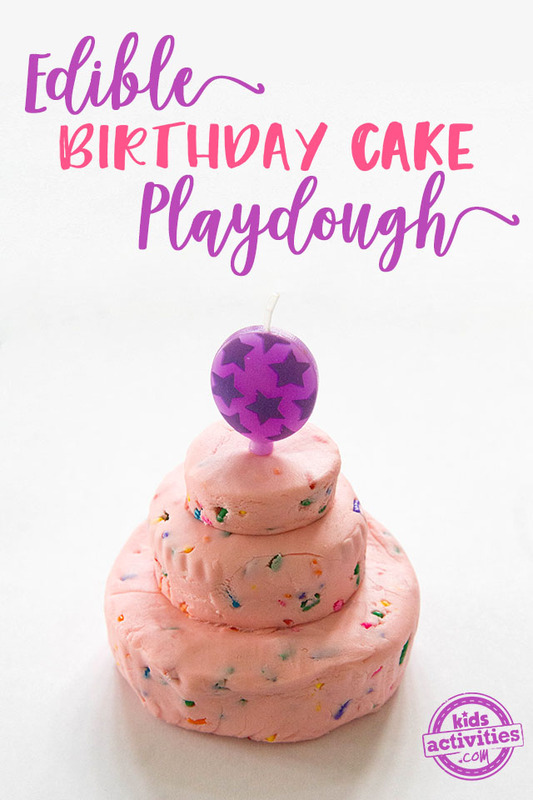 Make every day a celebration with this Edible Birthday Cake Playdough! A simple three-ingredient recipe, kids will love making this fun recipe, building something cool, and then eating it. This fun project is just one of 75 nontoxic activities you will find in my book, Awesome Edible Kids Crafts: 75 Super-Fun All-Natural Projects for Kids to Make and Eat. I have always loved to cook and craft, so when I had the opportunity to combine the two, I could not wait to get started! 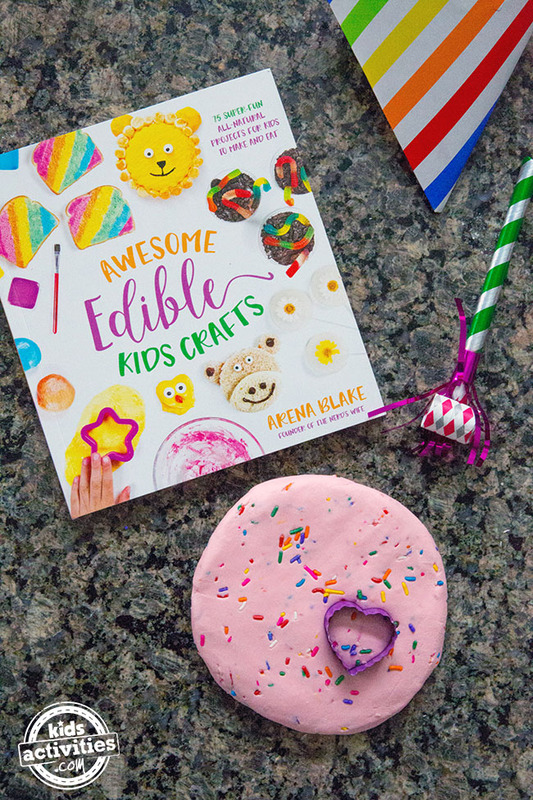 In the pages of Awesome Edible Kids Crafts, you’ll find everything from edible slime to a polar bear sandwich to chocolate-covered wizard wands. There are several different recipes for edible playdough, too! 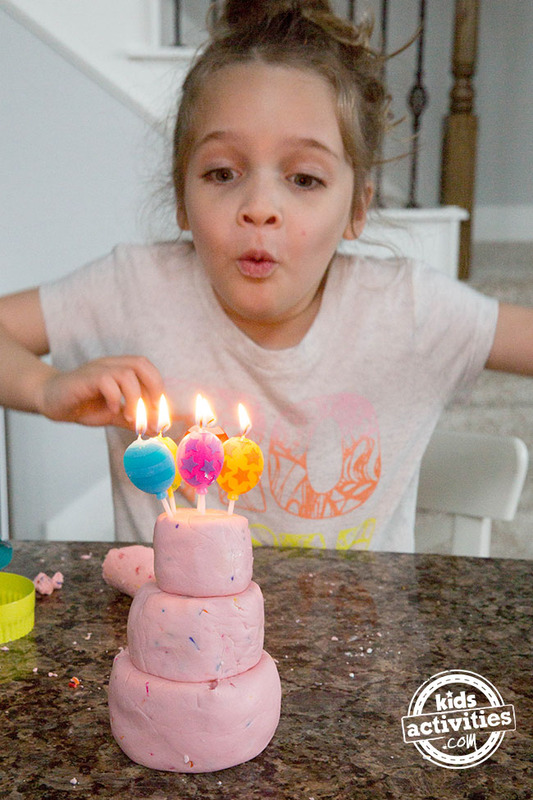 Today I wanted to share one of my favorite projects — edible birthday cake playdough. In a large bowl, stir together the frosting, sugar, and flour. It will take a few minutes, but it will come together and begin to form a dough. Remove it from the bowl and knead the playdough until it becomes smooth and pliable. If the dough is too sticky, add a bit more flour. Once the dough is ready, add sprinkles and fold them into the dough. Now it’s time to play! Build a tower cake and add candles, then have a pretend birthday celebration! Or break out some cookie cutters and make shapes. You can squish, mold, and PLAY with this fun playdough tons of ways. You can even taste it — it is very yummy, as my friend Aria discovered while we were making ours! When I sat down to write this book, I wanted to be sure that the activities made kids excited to get in the kitchen and play. That’s not something that usually goes together — from a young age, we are taught not to play with our food. 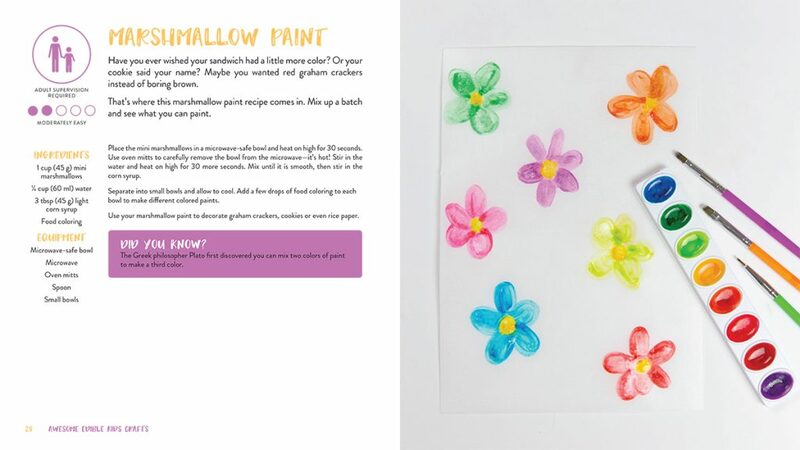 This book was written specifically for kids,with easy-to-follow directions and activities that will spark creativity in even the most reluctant crafters. Plus, each project features a fun fact so your child will learn while they play! And every page has a “difficulty rating” so you know right away if adult supervision is required, or if the activity might be a bit too complex for your child. And with 75 different activities to consume, your child will come back time after time for more fun. 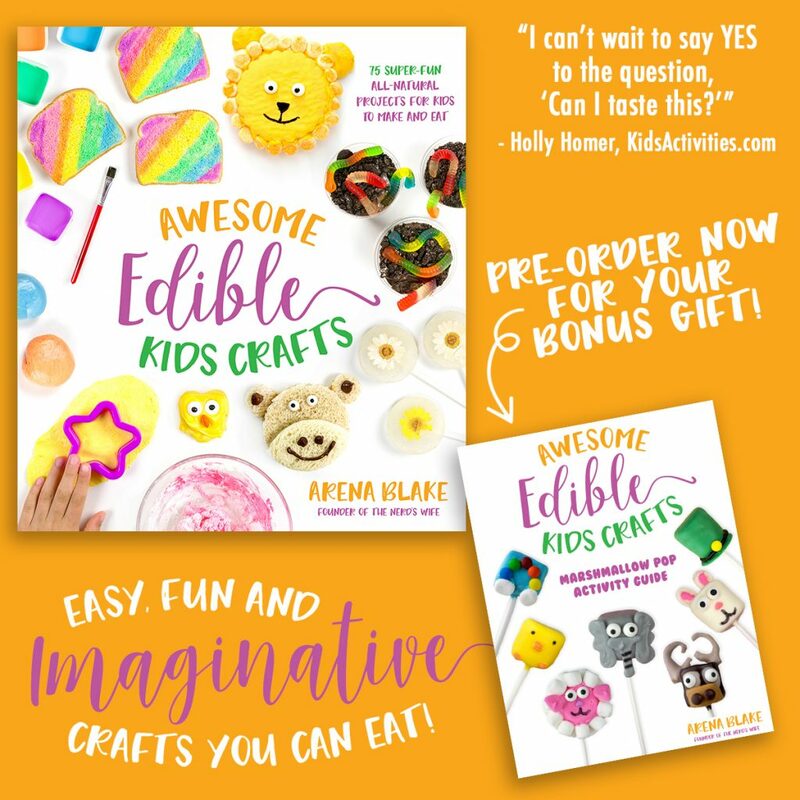 You can purchase Awesome Edible Kids Crafts at Amazon, Barnes and Noble, Books-a-Million, Indie Bound or wherever books are sold! These ideas are great! My daughter has a youtube page and loves to do different activities like this to keep the kids entertained with these funactivities!